George Metropoulos has spent over 20 years ripping, restoring and analyzing vintage Marshall amps. Specifically, 100 watt Superlead heads. Metropoulos Amplification owns a reputation for building the most historically and sonically accurate plexi replica amps available. With the release of George's Metro-Plex, all that knowledge was distilled and fermented into a modern design with best of the best plexi Superlead tones. Based on one particular plexi 100 watt from 1968, serial # SL/12380 (just 79 away from EVH's #1 plexi) the Metro-Plex delivers iconic plexi tones heard on countless rock records. With the Metro-Plex Synergy module those tones are now available in a format that allows you configure your rig - your way, without compromising on authentic plexi tones. The gain, frequency response, feel and dynamics are fully captured and effortlessly dialed in. 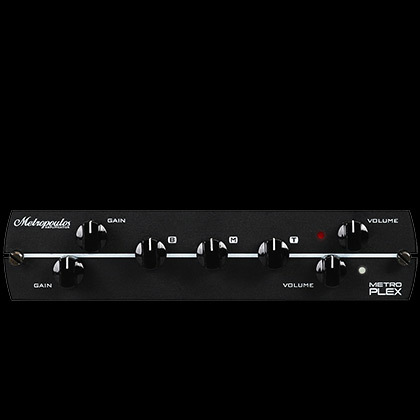 The EQ is highly tweaked and features more range than a typical plexi. From all-at-noon settings for full, balanced tones to more extreme settings for tweaked plexi tones the Metro-Plex module stays musical and inspirational. It feels like a great vintage amp under your fingers and it always cleans up beautifully with your guitar volume. Dial the gain past 7 and you are well in to mod'ed plexi territory, picking up where stock plexi circuits top out. More aggressive with endless sustain, you will instantly recognize the mod'ed Marshall tones on tap. With two channels on the Metro-Plex Synergy module you can set one for stock plexi tones and the other for tweaked plexi tones. It's win-win! Two 12AX7 tubes provide four gain stages which are utilized to emulate the clipping, harmonics and dynamics imparted on your guitar signal by the entire plexi circuit. From the first gain stage to the output transformer, all of the plexi superlead magic is designed in and confirmed via rigorous A/B testing against #12380. 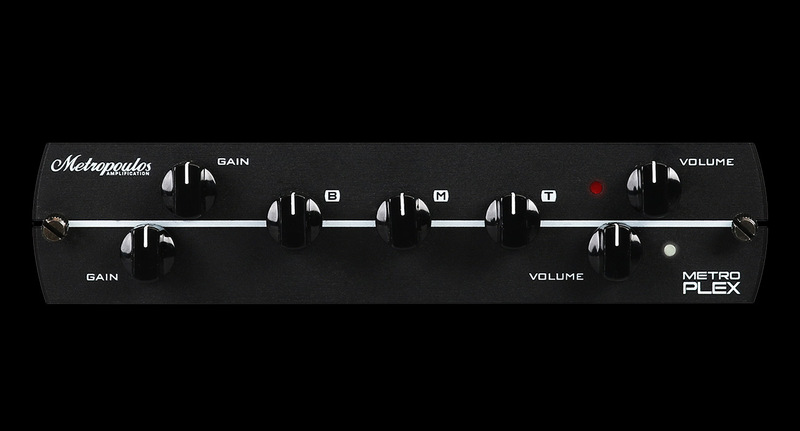 The Metro-Plex Synergy module features switchable gain and volume controls along with shared treble, middle and bass controls. 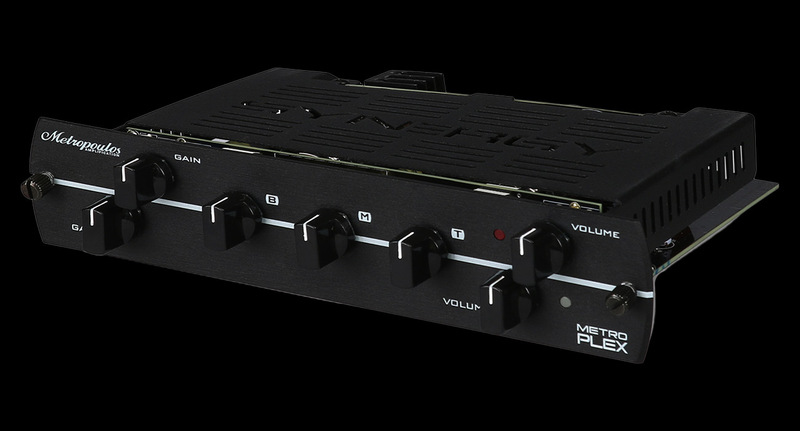 The METRO PLEX modules includes a three position switch which allows you to configure the input tube bass response to match the original circuit of the selected module Patent Pending. Switch setting will will affect the feel and tightness. Each amp designer has a specific combination of components that makes up their input tube circuit. We have selected the three most popular combinations which you can access with this switch. You can experiment and try any of the positions to see what you prefer. The METRO PLEX modules will come preset to George Metropoulos's preferred setting which is switch position 2 (2.7K resistor and .68uf capacitor).